Join us as we share the love of Christ in ending the cycles of poverty, hunger, abuse, and neglect of Haitian children. Radically Transforming The Future Of a Nation One CHild At A Time. Every Child Deserves Hope We are committed to changing the future of disadvantaged Haitian children by providing clean water, daily nourishment, eco-friendly housing and education programs. Together, we can end the cycles of poverty, hunger, abuse, and neglect of children and bring about a brighter future for Haiti and the world. Giving Hatian children a hand up with education! 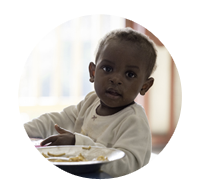 Give the gift of full, healthy tummies to Haitian children. Let’s get drinkable water to children and families. 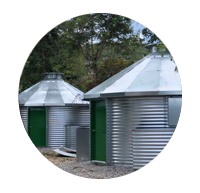 Help us provide necessary supplies and housing. Change the Life Of a Child … Transform The Future Of A Nation. There is no shortage of sun in Haiti, which is why our entire Children’s Home runs on solar power. The Hopestart compound in Jeremie depends on a great solar system consisting of 50 panels and a bank of batteries where we store the energy produced by the solar panels, thus having reliable electricity on a 24/7 basis. 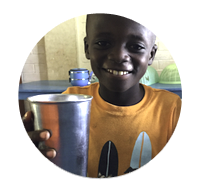 Over 95% of all money raised goes directly to Haiti – not stateside on advertising, salaries or admin costs. 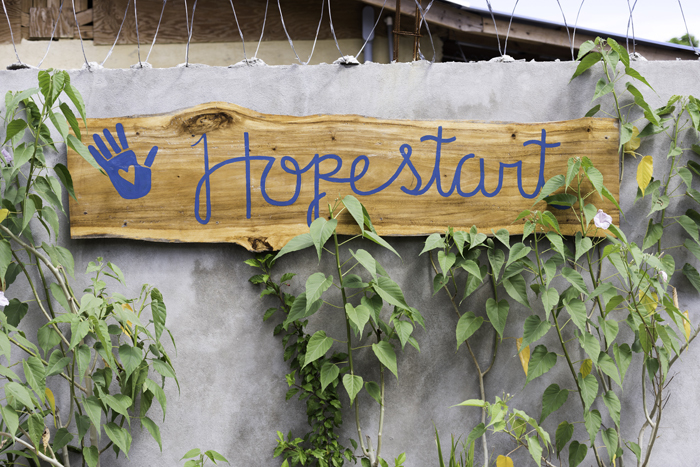 HopeStart International’s investments in Haiti, outside of its primary care programs, include investments in Haiti’s infrastructure, manufacturing and labor needs. Change the Course of a Child’s Life, Transform the Future of a Nation. 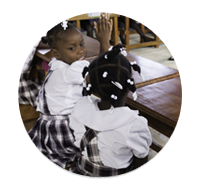 We provide the necessities and promote the development of life skills so Haitian children may grow and become leaders who make significant contributions in their communities and ultimately, in their nation.